The following guide is for GP trainers / educational supervisors to record a "End of Preparatory Phase Structured Report" on doctors they are supporting. 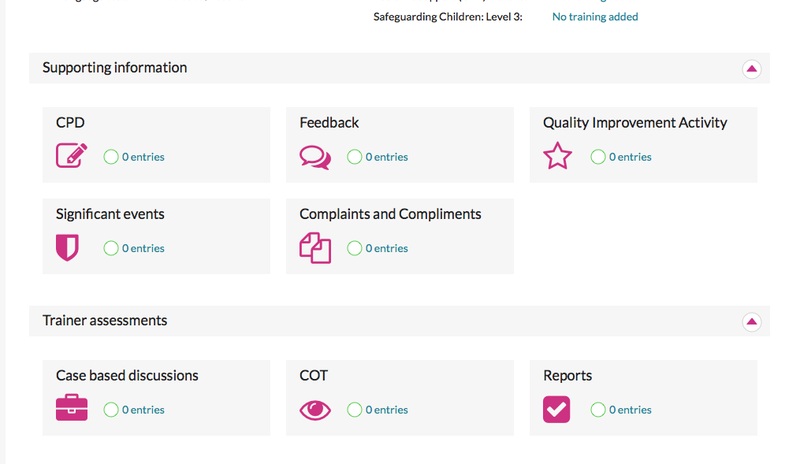 Once you have access then click the Trainee Portfolio link from the main dashboard. Click the link to view the relevant shared portfolio. The trainer assessments are listed at the bottom of the Portfolio overview page. The preparatory report can be found by clicking the Reports link. From here click on a new preparatory report and you can then record and save your assessment. Any problems or if anything isn't clear please Contact Us.